I recently had the opportunity to speak at the European Society of Emergency Medicine Conference in Amsterdam about in situ simulation. Although the title of the talk was Guerrilla Sim it was largely about the nuts and bolts of getting simulation to happen in your own departments. We’ve been doing this for about 18 months now and the benefits are starting to show. Pretty much everything I talked about is based on a talk I heard at the original SMACC in Sydney 2013. Jon Gatward inspired the St.Emlyn’s team to think about how we could replicate what his team has achieved in ICU to our department in Virchester. I’ve also listened to my great friends Tim Leeuwenberg, Minh le Cong, Cliff Reid, Jesse Spur, Karel Habig, Brian Burns, Bryan Jordan and many others from the world of #FOAMed who have been doing this for longer, better and harder than any of us. They are my inspiration to be a better doctor and educator. So please have a listen to our podcast and then consider the following top ten tips for getting in situ sim working in your department. 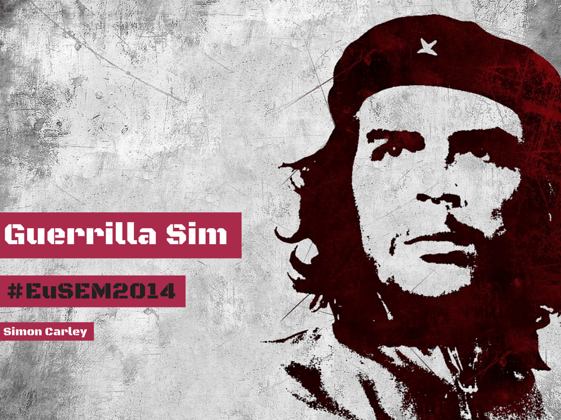 You can also listen to Chris Connolly over at the CEMFOAMed network with a beginners guide to in situ sim. We also met Chris in Amsterdam and had time to talk over some sim issues there. 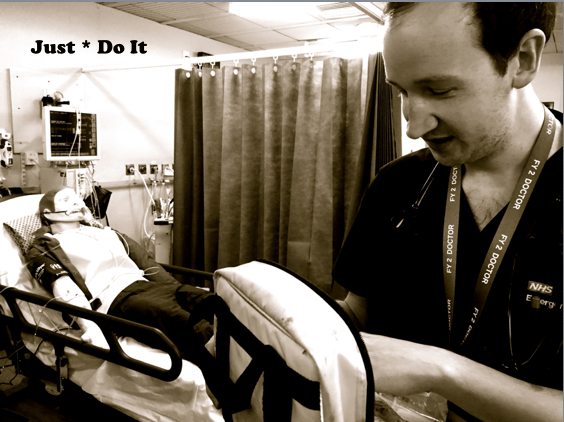 Here’s our top 10 tips for getting in situ sim started in your department. 1. Get on and do it? We can make this bit pretty simple. The evidence base for teaching through simulation is growing. It’s arguably not that fantastic, but on balance the evidence suggests that it is better than no education (wow- no surprise there) and possibly better than other forms of teaching for some tasks. There are numerous studies on this including systematic reviews on this that you might want to read. In Emergency Medicine there is less data but again a recent meta-analysis suggests a benefit to this. There are other reasons though. Sim training allows your teams to train in their own environment, with their own colleagues and with equipment that is familiar to them. In the military the phrase ‘Train as you mean to fight’ is often quoted and that is also true of medicine. Sure, you can head off to a sim centre once a year for some really high quality sessions, with fantastic video feedback and lots of time, but that will probably be somewhere else, with strange people and strange kit. Whilst there are potential advantages to doing things with strangers it’s less ‘real’ than training in your own environment with your own staff. That’s not to say that sim centres courses cannot be great. Rather the cost and opportunity to access sim at a dedicated centre is extremely limited for almost everyone. 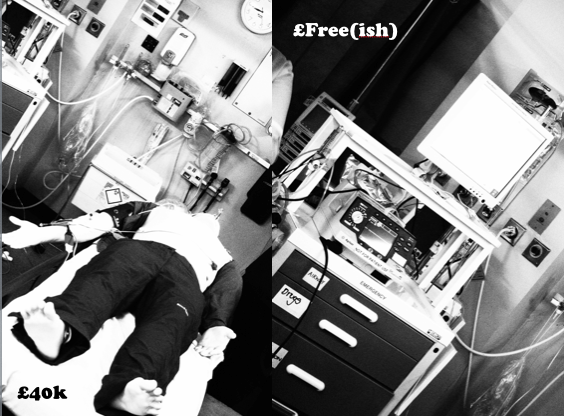 Sim centres can cost millions of pounds to set up and run whereas you can get insitu sim up and running with very little capital cost. In situ sim also allows you to set your own agenda and standards about what you want to teach. Training can be expertly tailored to departmental, personal and team learning outcomes. It is also achievable on the cheap and at extremely short notice. It can be done opportunistically, reactively or in a planned way. It’s up to you to make it happen and to make it work for you. So – Sim works and in situ sim is something you can make work. Consider the following domains of learning that we can address using Sim and life support cvourses. You can go complex – but do you need to? There are many, many things that you can teach through simulation. With the right kit you can teach a whole range of psychomotor skills, and of course you can use simulation as a vehicle to impart knowledge about specific conditions. 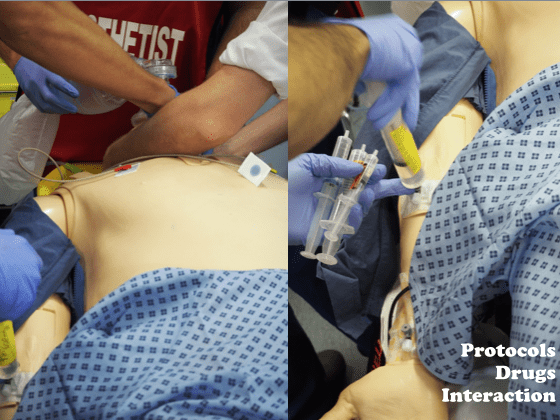 Whilst both skills and knowledge ‘can’ be taught using in situ sim our experience is that this is not the most valuable use of the time available. 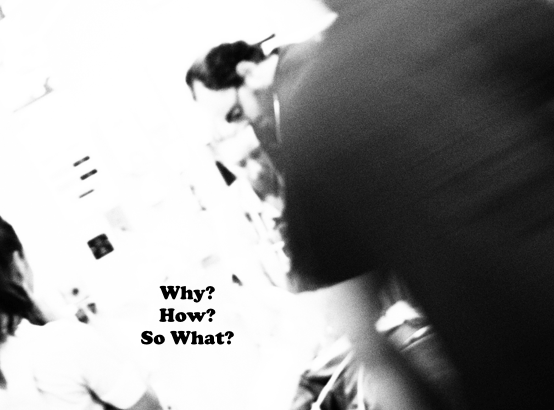 We have found through experience (and really through design) that in situ sim excels at exploring how teams work, how they interact, how they behave and how effective they can become. These skills lie at individual level within the domains of attitudes and relationships and at team/departmental level as human factors, HF, (or crew resource management, CRM, if you prefer). Our approach has been to run scenarios that allow our teams to be reflect and learn about how they function as individuals within the wider EM team. This influences our choice of setting, cases and how we organise and develop our feedback. 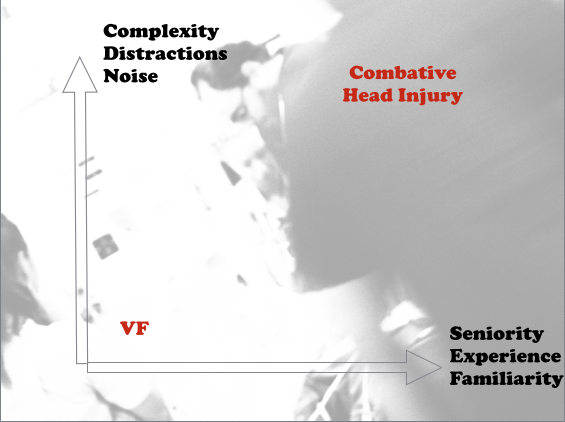 It’s perfectly possible to run really complex scenarios, and on occasion we do (and you should too), but there is great value in conducting fairly basic scenarios in terms of the clinical care in order to focus on the interactions, communications… well, the human factors in general. Our experience is that even something as simple as a VF cardiac arrest can provide incredible learning opportunities and real change. In fact we use the pre-alerted VF cardiac arrest more commonly than any other scenario. It works really well and there are always learning points to draw out of a sim session. 3. Beg, borrow, acquire and recycle your kit. The minimum amount of equipment required for sim is a mannequin and a monitor. If you have pots of cash then by all means get out there and spend £100,000 on an amazing set up. If you do I’m sure you will have a great time and you will of course be able to do lots of really funky things. But wait….. What are you trying to achieve? Most of the time we are not trying to impart specific skills and knowledge, we are looking at teams so make it simple. If you look around your hospital tomorrow I will personally guarantee you that there are mannequins that are not being used. No mannequin is used 24/7 which means that you, YES YOU, already have access to one. You just need to use your jedi powers of persuasion to make whoever nominally ‘owns’ it let you borrow it. Make it happen, channel Cliff Reid, Yoda…., whoever, just make it happen. It does not need to be fancy, a resusci-Annie will do. If you can’t get a rubber dolly then you can always use a co-worker as a patient (and in some cases this works better anyway). So you can get a mannequin. Monitors are more tricky as you might think that you need to spend loads of dosh – you don’t. Get on over to the itunes store and download a monitor emulator for next to nothing. I have no pecuniary interests in any of them but try these. I’m sure there are others and if there are others out there that you like then please add them to the comments. If you have more cash then invest in something like ALSi from iSimulate. I’ve not used it myself so can’t really comment. I know some of my Australian colleagues do use it and I would recommend heading over to Tim’s site for more info on this and other cheaper ways of getting started with basic kit. Beg and borrow kit for Sim and make sure you clearly mark it. For medical kit then you have to clearly separate your kit from that which might be used for patient care. We have a trolley that is stocked with expired kit and stored in a non-clinical area within ED (but not too far away). All our equipment for sim sits on this trolley and we are able to wheel it wherever it is needed. It replicates our basic departmental resus trolleys and also has the monitor stuck on the top of it. The defib is an old model that is clearly labelled not for patient use. In the UK hospitals have medical engineering departments which have a wealth of equipment that is either defunct, non functional or time expired. They were incredibly helpful to us in getting monitors, defibs, etc. and even help maintain it. Make friends with your medical engineers and they can do amazing things for you. We often get asked about video and we have used it on occasion. However, we have found that in short sim sessions it’s not really needed and participants find it distracting and stressful. If we see something that needs to be video’d we can whip out an iphone, but in all honesty it is rarely if ever required. So, although we have the kit we don’t use it and you should not let the lack of availability prevent you from getting started. Involve everyone! Look at how a resus works in your department in normal practice and consider who gets involved in the care of the patient. Admin staff, docs, nurses, support workers, students, porters, radiographers…., all have a role and therefore all can contribute to the process and learn from it. It may sometimes seem a bit weird getting your mannequin to have an X-ray in resus whilst the team wait outside, but it’s worth it. Similarly if your scenario starts with nursing assessments then do that and then call for help. We have found this really useful to demonstrate the hazards of handover and information sharing. Involve everyone. Your resus is your training environment. When is going to depend on your department and your circumstances. We have found that early morning is best as the department tends to be quieter and during handover we effectively have double staffing. The impact of a small team being taken out of the numbers for 30-40 mins is minimal and allows you to train that day’s team at the beginning of the day. This is great for training and great for preparing for the rest of the day and also involves people before they become embroiled in other departmental issues. Clearly if the department is really busy then ditch the session, there will always be other days and times when it can be more appropriate, and let’s face it if you do end up disrupting the department you will lose friends rapidly and that’s not conducive to a sustainable sim program. If you want to go for the full Guerrilla sim, anytime, anyplace, anywhere then that’s great. There are many advantages to doing it in a completely unpredictable fashion, but there are also risks. We have done a fair bit of this by just pressing the emergency buzzer in the department and then directing people to the patient. It works, but it can be high stakes and it has appears to be more stressful on participants. It needs careful planing and notice to participants that it, ‘might’ happen. Where is also a consideration. We’ve done sim in every area of the department but we do most of it in our resus room. There is space for observation and movement plus most of our cases are resus based. Our resus is small and often has patients in it. Clearly if there are patients who are very unwell with ongoing resuscitation we do not do the session there. If there are distressed relatives we do not do the session. However, at 0800 resus usually only has one or two patients waiting for beds. We show them the mannequin and explain that it’s training and thus far we have never had an objection. In fact the opposite is true, my experience is that patients and relatives usually find the look of the mannequin quite amusing and I think they like to see training happen (who wouldn’t!). In reality our patients in resus frequently experience real resuscitations just a curtain away and we do not routinely warn them about that (perhaps we should? ), so training is arguably less dramatic than real life. In situ sim, like all sim, needs good facilitated debriefing and it’s not something that can be left to anyone with an interest. If you are going to do this then you need to understand what you are trying to achieve, what you see, how to feed it back and how to learn from the experience. 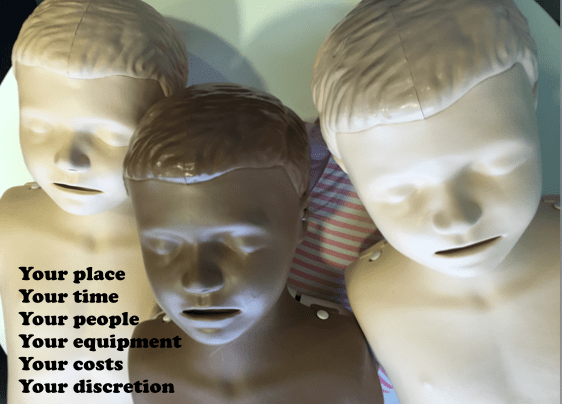 We are lucky in that we have many instructors on life support courses who are trained in scenario debriefing, supplemented by sim experts who have had specific debriefing training for simulation (although there is a huge amount of crossover here). We use the learning conversation model (not Pendleton’s rules) to debrief and do it as a hot debrief in resus or in a quiet room in the department. We finish off by asking everyone (including instructors) to say what they learned at each session. Debriefs are great for the participants, but if the findings can be recorded and shared more widely that’s fab. When we started we did not do much of this and that’s a mistake. Our new Sim fellow and lead nurse for sim (Kirsten and Sara) have transformed this and we now record technical, personal, team and process learning points. These can then be shared within the department for wider learning. Some departments have sim issues as a standing item on their clinical governance committees and I think this is a great idea. Think about what major learning points you are trying to achieve and focus on them. We have spent a few months focusing on team leadership, communication, graded assertiveness and situational awareness for the team leader. Our debriefs have therefore focused on these aspects and as a result we are seeing real changes in the department. Sim works. You might be thinking that it will be difficult to get buy in at your department. It will. Sorry, but this is not something that is just going to happen, and it’s not something that you can just decide to do on your own and without help. Unless you in control of everything that happens in your department you are going to need the support of your system to make this happen. We like the concept of reflected authority which means that those running the sim are doing it with the full backing of those who have the final say in these matters. So we suggest that you speak to the following people and get them to understand, buy in and publicise their support for sim. You might want to discuss the following with your senior manager, nurse and doctor. It’s great training so we might get more trainees. The list could go on, but you get the idea. Think about how Sim can improve their world and get buy in. Once you have that then you have the reflected authority of these leaders to make it happen. Similarly if you are going to use teams from outside the ED speak to their bosses and get their consent. 7. Go beyond the ED. We would recommend starting off your sim program in house. Get yourselves established working with the multidisciplinary team in your own ED, but then consider how other teams work alongside you. Anyone who works in the ED can potentially benefit and that might include your colleagues in other critical care specialities. Think about inviting your anaesthetists, surgeons, physicians basically anyone who works with you might be able to learn with you. So, with enough notice and senior buy in get your colleagues down to learn alongside your team. If you train together you will find that when you work together patient care improves. We have run full trauma team simulations running right through to CT and these have really helped us learn how problems and solutions can arise through sim. Obviously the risks are higher with multi team sim, but the rewards are also pretty high too. If you are starting out in Sim then you will make errors and we have made several. Most importantly you must maintain patient and trainee safety. Here are some tips which are all based on either ourselves or others getting it wrong! Don’t ask someone who is having a bad day to participate. There will be many others and if you want to share then please do in the comments below. One of the major advantages of in situ sim is the environmental realism. In the real setting it’s easy to add elements such as the time to get people, drugs, equipment into play. Ensure that people do things, not just say that they are going to do things. Ideas that we run with include. Get drugs out of the cupboard (but don’t draw them up for real). Reminds you how often we can lose the keys! Don’t isolate sim. Allow distractions, interactions, questions etc. as they normally would happen. In a recent sim a doc was asked to sign off an ECG half way through an RSI. It happens in real life so allow it in the sim setting. Give results as they would be received. For example, put the blood gas results on the blood gas machine requiring the user to physically go to the machine to get them. Whatever you do, whomever you are, now matter how cool you think you can be this will stress some people out. Recognise this and do your very best to make it happen in a way that is as non-threatening as possible. 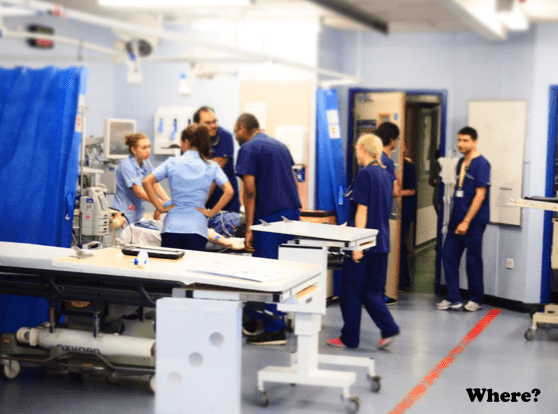 In our experience the stress levels are present at all grades and in all professions, but in the early days it is the juniors who are ‘volunteered’ to take part in sim by the seniors. I wonder why this may be, and I’m not going to comment here, but we have seen a gradual and steady increase in senior engagement over the months that we have been doing this. Most people find sim stressful so do everything that you can to help. 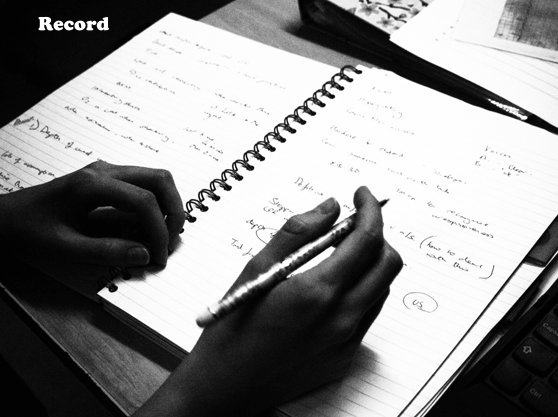 Keep the debriefs neutral and friendly and try to make sure that everyone shares their learning. This may require persistence, practice and time to pass for everyone to understand but it’s worth it. For example when we started some of our nurses were reluctant to get involved, now they are some of the most enthusiastic participants. As mentioned above, we don’t routinely use video as we have found that it is not needed as a routine and it raises stress levels amongst participants. Remember that these are your friends and colleagues and you want to work with them in the future. Look after them, be kind and have fun. You might even have as much fun as these guys in Sydney. You don’t need a helicopter as that will blow most of your budget, but listen to why you need to train with your people, in your environment (and look at the nice shiny helicopter too). If Cliff, Karel, Brian, Bubba and the amazing staff of Sydney HEMS can do this so can you. I’d also follow Jesse Spur on twitter and check out Injectable Orange for loads of great tips on Sim. Please share your thoughts below. There are some fantastic people out there who know so much more than we do. Please give us your top ten tips and encourage everyone to engage in this exciting aspect of learning. 1. Acad Emerg Med. 2013 Feb;20(2):117-27. doi: 10.1111/acem.12076. Technology-enhanced simulation in emergency medicine: a systematic review and meta-analysis. Ilgen JS1, Sherbino J, Cook DA. 2. JAMA. 2011 Sep 7;306(9):978-88. doi: 10.1001/jama.2011.1234. Technology-enhanced simulation for health professions education: a systematic review and meta-analysis. Cook DA1, Hatala R, Brydges R, Zendejas B, Szostek JH, Wang AT, Erwin PJ, Hamstra SJ. 3. Acad Med. 2013 Aug;88(8):1178-86. doi: 10.1097/ACM.0b013e31829a365d. Mastery learning for health professionals using technology-enhanced simulation: a systematic review and meta-analysis. Cook DA1, Brydges R, Zendejas B, Hamstra SJ, Hatala R.
4. Surgery. 2013 Feb;153(2):160-76. doi: 10.1016/j.surg.2012.06.025. Epub 2012 Aug 11. Cost: the missing outcome in simulation-based medical education research: a systematic review. Zendejas B1, Wang AT, Brydges R, Hamstra SJ, Cook DA. 5. J Contin Educ Health Prof. 2012 Fall;32(4):243-54. doi: 10.1002/chp.21152. 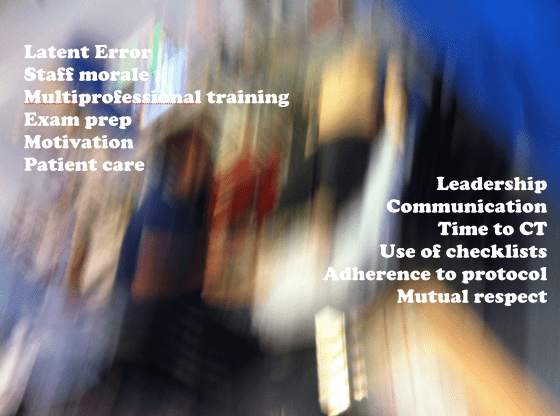 In situ simulation in continuing education for the health care professions: a systematic review. Rosen MA1, Hunt EA, Pronovost PJ, Federowicz MA, Weaver SJ. I am sure there are plenty more. Hashtag #sim anyone? Thanks Tim. All the STEM scenarios will be up on the STEM website early next year, set out on the same template, and in Word format so they can easily be tailored to local requirements. That’s great Jo. Would love to link out from here to share widely. Thanks Simon – good pieces of advice! Perfect timing, as we today launched a weekly in-situ-sim in our department, Sahlgrenska of Goteborg, Sweden.